Club Kids Music Academy is a space in which children have the opportunity to learn, play, tinker and share in the joy of electronic music. Children are invited to experiment with samplers, drum machines and keyboards in an environment that fosters independence and creativity. 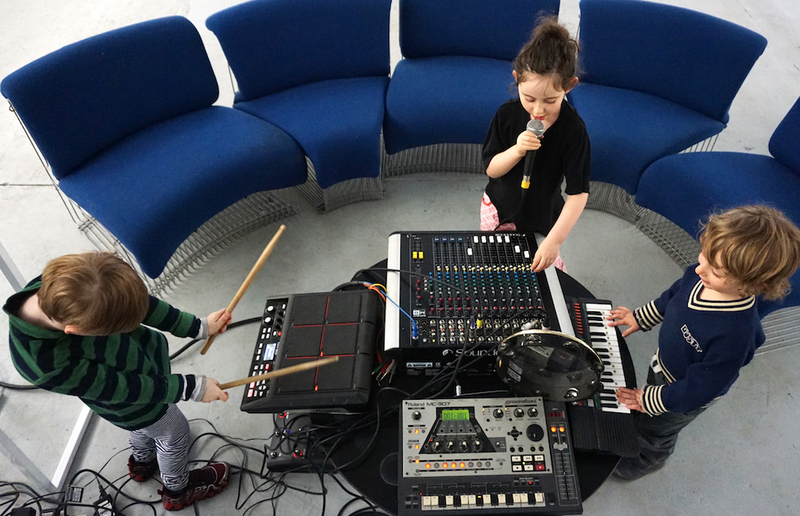 Ideally for 3 to 8-year-olds but open to anyone, Club Kids Music Academy invites children of all abilities to play with the ‘grown up toys’ that are used by today’s top producers. Your child won’t walk away knowing how to play scales on the violin but they’ll be motivated and excited about what can be done with sound, and how to use modern technology to create music.